I don't like being angry. I don't enjoy feeling frustrated. Yet, it seems like every time I watch or listen to the news, read a news article, or look at FB, I find yet another reason to have my blood pressure go up. 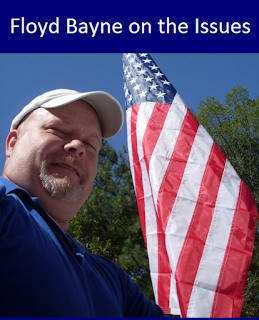 I try to look at issues, ALL issues, and apply commonsense and seek out the facts. I wish I could say the same for a majority of my fellow Americans. 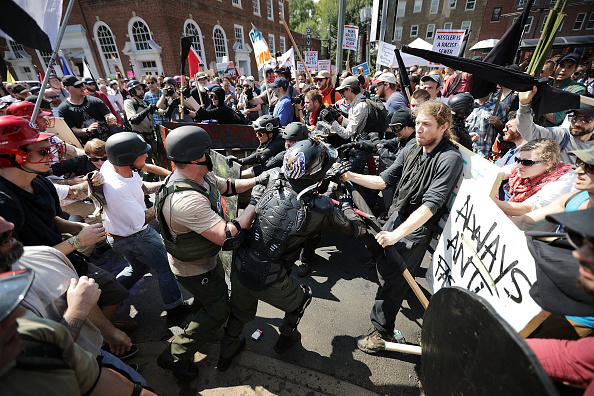 After Saturday's madness in Charlottesville everyone seeks to place the blame on someone and they, as usual, miss the mark, because they allow their own hatred and biases to cloud their thinking. While pointing their finger at only ONE of the two groups in C'ville and calling it a "hate group," as it surely is, they conveniently ignore the fact that "their group" is just as much a hate group. Of course they do this in an effort to blame the guy they hate, while giving the hatred exhibited in a previous administration a pass. 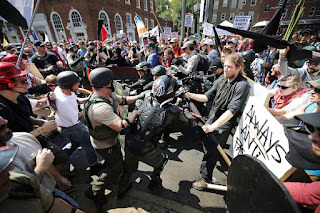 Look, I'll type this slow, so you can understand it - BOTH groups in C'ville yesterday were HATE groups. Neither are doing anything of any real value that will help to heal the chasm being created in this country. NEITHER OF THEM! Why won't you man up and admit this? While saying that "We will not let hate win" you actually exhibit irrational, blind hatred of your own. Folks, you can't lament hatred in others while you're doing the same damn thing. Unless of course you care more about your political agenda than you do about truth. Well, which do you care more about?